Waiting on technology in the smart thermostat market to stabilize before upgrading the thermostat in your home? Though the market was more volatile several years ago, it has now steadied. Why Upgrade to a Smart Thermostat Model Now? 2018 was viewed by many as a plateau in smart thermostat hardware updates. Today, manufacturers are updating hardware far less frequently, with fewer changes between models. In fact, rather than updates featuring significant screen or feature improvements, today’s newest additions tend to be budget-friendly versions of popular models. Improved design and software updates have also reduced the need to repeatedly upgrade hardware, which today, typically relies on over-the-air software updates. Many models now integrate fully with other home automation products. Today’s most popular smart thermostat models for heating and air conditioning units belong to a family of integrated products. Many top models integrate fully with Google Home and Amazon’s Alexa, allowing for voice-activated operation from anywhere in the home. (The popular Ecobee 4 and Ecobee switch have Alexa built in.) 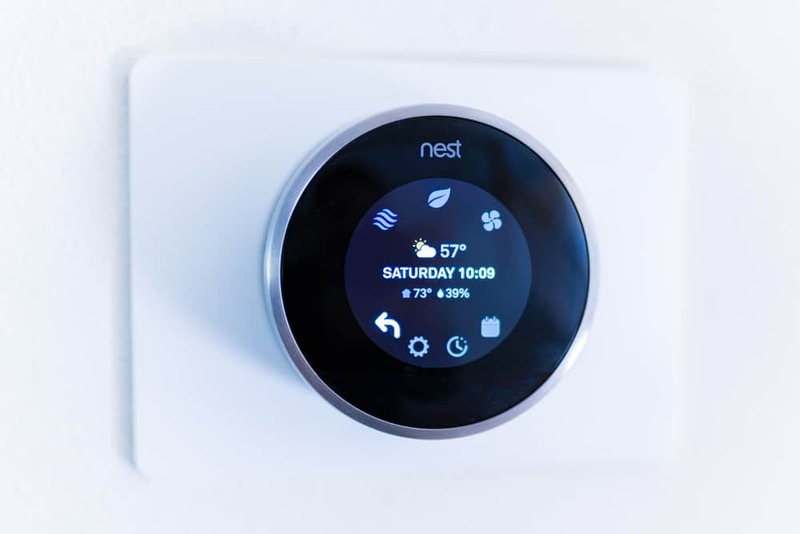 NEST models integrate with the company’s NEST Secure home alarm system, NEST Hello video doorbell, as well as the NEST Protect smart smoke and carbon monoxide alarm, as well as integrate with Google Home and Amazon’s Alexa. High-quality, budget-friendly options now exist. Recent additions come at budget-friendly prices and with nearly all the bells and whistles of flagship models. These include the Ecobee 3 Lite and NEST Thermostat E,, which have a low $169 MSRP. Smart thermostat apps have improved, integrating improved features. As smart thermostats have evolved, they have come to offer coveted features such as Amazon Echo and Google Home compatibility, allowing operation with no need to lose your warm, comfy seat on the couch. They also deliver updates to your Chaddsford home automatically, granting access to new features and device improvements with no need for hardware replacement. Many companies now release these updates based on consumer feedback, such as Ecobee’s recent software update that allowed Ecobee 4 users to disable the red light on thermostats which homeowners choose not to enable for Alexa. Utility companies are offering incentives for smart thermostat upgrades. Many local American utility companies offer an incentive of $50 or more towards upgrading to a smart thermostat. Nest’s website will help you locate rebates and incentives in your area, or you can simply Google “Ecobee/NEST + Rebate” to determine whether your local utility company is participating. You don’t have to rely on DIY installation or a hire a home automation specialist. The best heating and air conditioning companies are familiar with smart thermostats. They can help you quickly identify whether your current wiring is compatible with an upgrade, helping you select the best model for your system type, budget, and lifestyle. Think you’re ready for a NEST or Ecobee smart thermostat installation? Now is the time to make the leap to smart thermostat technology. Uncover your ideal smart thermostat model and ensure installation is a breeze with the help of H&H Heating & Air Conditioning today.